The Greek people paid a heavy price in sacrifices for things that were not their responsibility, Greek President Prokopios Pavlopoulos said when he received EU Finance Commissioner Pierre Moscovici at the presidential mansion on Wednesday, according to ANA. Pavlopoulos expressed his appreciation for Moscovici's support of Greece and described the forthcoming European Parliamentary elections as "a historic challenge" in defending the EU and its prospects. He also referred to a recent statement by EU Commission President Jean-Claude Juncker that "institutions did not exhibit the solidarity they should have towards Greece, during the critical time" and expressed appreciation for the invitation to visit on December 19, 2018 the Commission headquarters in Brussels. 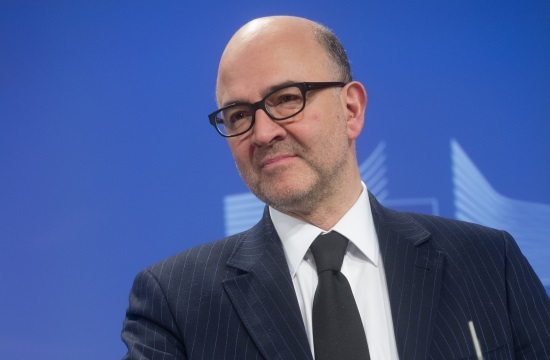 Responding, Moscovici said that mistakes had been made both by the IMF and the Commission, and that both he and Juncker had fought to keep Greece "in the heart of the eurozone, to be a normal country." This, he noted, had been achieved, even though reforms must continue. He also said that a post-memorandum task force would visit Greece within the next few days, which he discussed earlier with Prime Minister Alexis Tsipras.